Rahman and Raheem both come from the same root of ra-haa-meem (ر-ح-م), which means “ar-riqqa wAl-ta’atuf”—a combination of tenderness and compassion. Raheem is a characteristic that one possesses at all times i.e. it is not a circumstantial state. And God Almighty tells us in the Qur’an, “It is He who confers blessing upon you, and His angels [ask Him to do so] that He may bring you out from darknesses into the light. 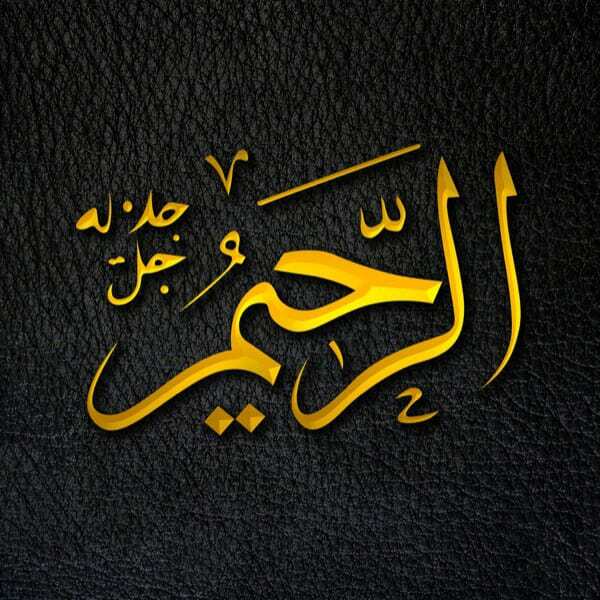 And ever is He, to the believers, Merciful (Raheema)” (Qur’an, 33:43). There are some mercies only believers can experience, for example, the mercy that descends during Ramadan. Having such an all-encompassing mercy, God wants us to be merciful as well. The Prophet Muhammad ﷺ said, “Those who show mercy to their fellow beings will be shown mercy by the Merciful Lord. So, show mercy to those on the earth, and He Who is in the heavens will show mercy to you,” (Tirmidhi). Be merciful in your interactions with people, and do not be harsh.